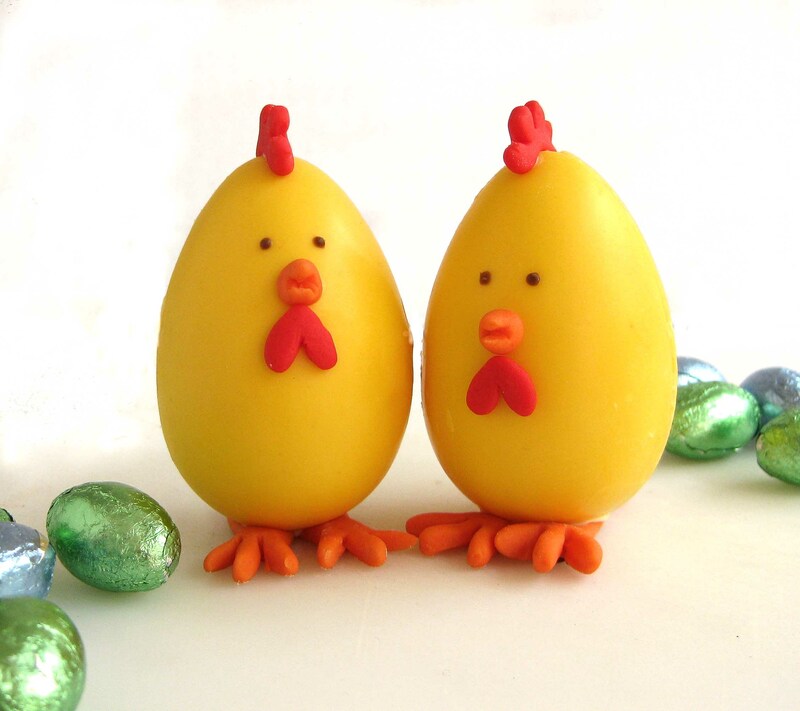 I wasn’t even thinking of Easter yet, but Xandoca (my chocolatier husband) started with some chocolate egg testing, while I was making some rolled fondant decorations for a cake. If you wanna make your own chocolate egg shells, there are some good tips here and here, but I think it could be a great idea customize store-bought plain eggs and make it a unique gift. I used rolled fondant for most part of the decorations. Gum paste, candy, sprinkles should do the trick as well. Try to make the decorations first, then put some rubber gloves on to glue them – that will avoid finger marks on the chocolate. To glue the parts, I used candy melts in the same color as the chocolate – I guess royal icing could be used, but I think the candy melts dry a lot faster, making the work easier. Use a small clean brush to apply only a little bit of the “glue” in the decoration, then fix it in the egg. Decorate each half of the egg separately – when everything is dry and fixed, glue the two halves together. To keep the egg in place while drying, make a “nest” with a very clean cloth. If making the decorations freehand is difficult for you, use your cookie cutters! Stars, flowers, hearts, polka dots, letters, they all would look cute decorating the eggs, don’t you think? All this is beautiful !!!!! wow really awesome. so creative!! This is just the CUTEST thing ever!!! I’m going to try it, but probably with store-bought plain eggs:) My grandchildren will LOVE them! I do! You are so talented and creative! Thanks for sending the link to edible crafts! The crazy thing? I already had my post on your incredible Mr. and Mrs. Potato Head written and scheduled for tonight before I even got the link! I absolutely adore these. Pure brilliance (your post will be featured tonight at ediblecrafts.craftgossip.com). I could not help myself and had to drop by! These are way, way too cute. What a ingenious idea! How cute! These are absolutely adorable! Wow!They are so lovely. You’re such a creative person. 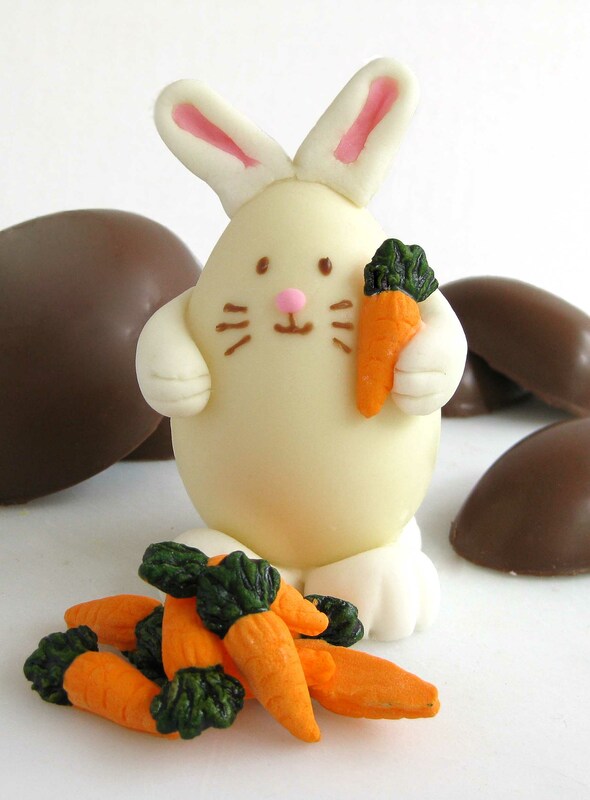 Amazing creation of yours and it’s really fit coz Easter is fast approaching. Two thumbs up for a job well done. These are too cute! Love them. Happy Easter! These are gorgeous little decorations. Thank you for sharing. How ADORABLE!! I love the chickens!!!! These are absolutely precious. I laughed out loud when I saw them. My son (almost 2) is obsessed with his Mr. 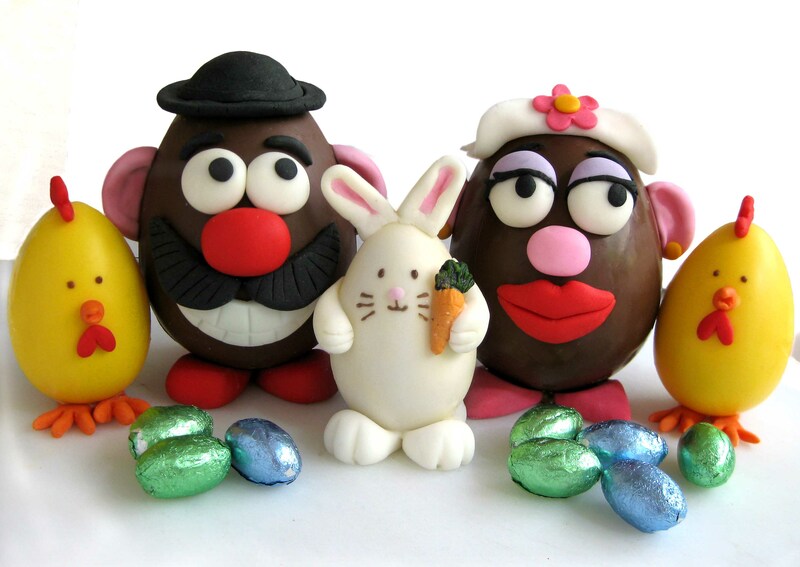 Potato Head and friends, so I have to do this:) BTW- I thought it was so cute, I had to feature it on my blog. Hope you like it:) Happy Friday! Awesome!! 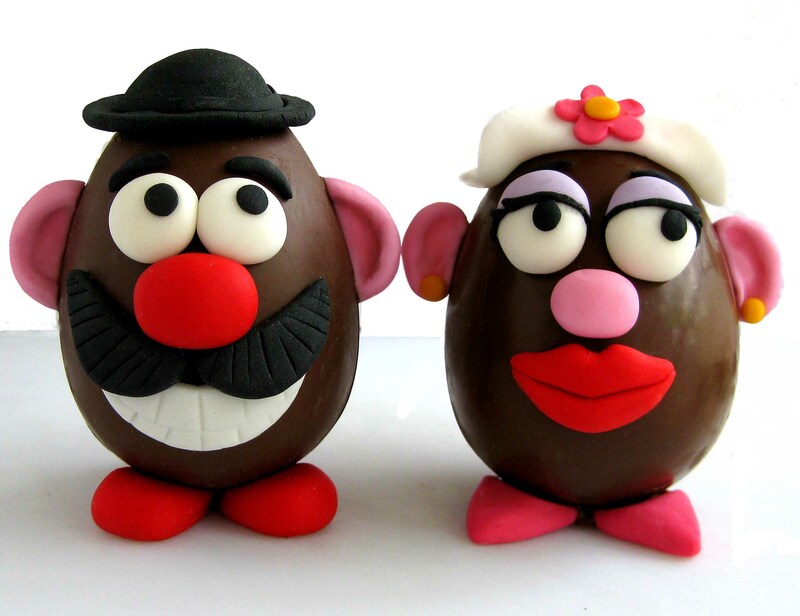 Mr & Mrs Potato Head a winner, and the rabbit works for extra Easter magic. Also, had to mentioned on my blog. These are great. Thanks for the ideas. I’m doing a dem on Monday and this is perfect.